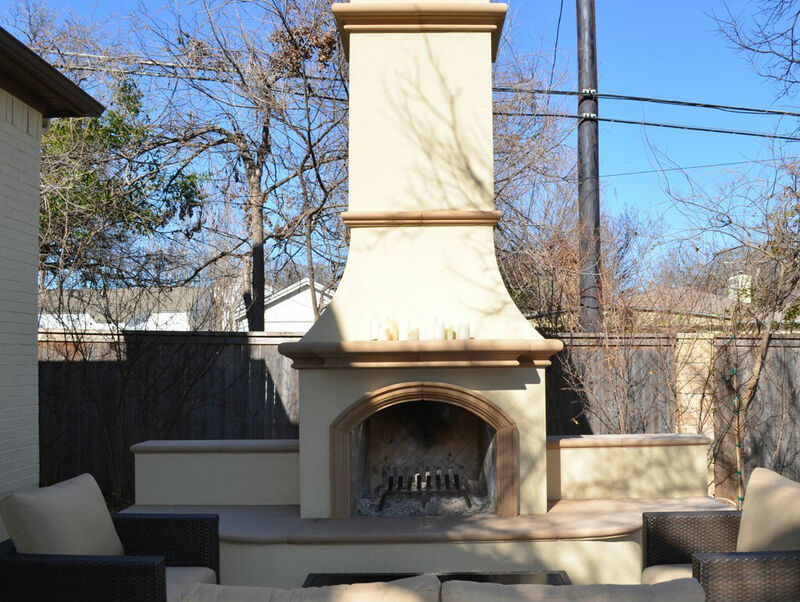 Amazing Outdoor Stucco Fireplace Ideas You Have To See To Believe! 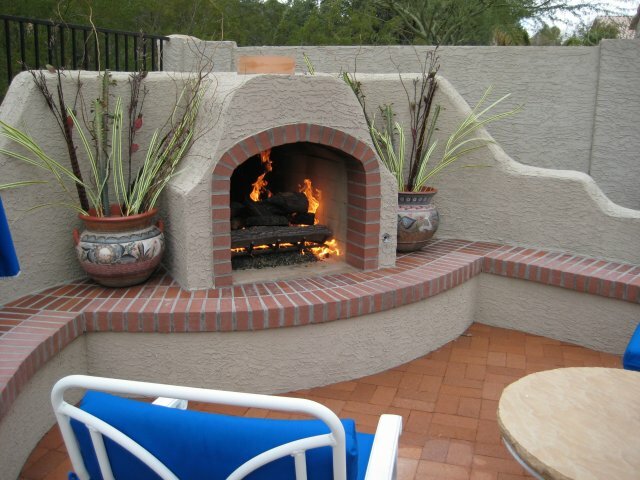 This is a shorter, adobe style fireplace that has a heavier lacestucco texture and brick trim that really flows together nicely. 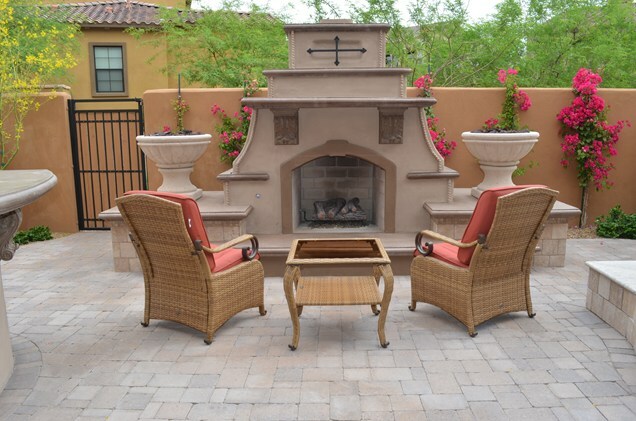 This is a much larger adobe fireplace example with ample seating for many guests, without using a single chair! The texture seems to resemble a medium sand type of finish, which compliments the overall style. 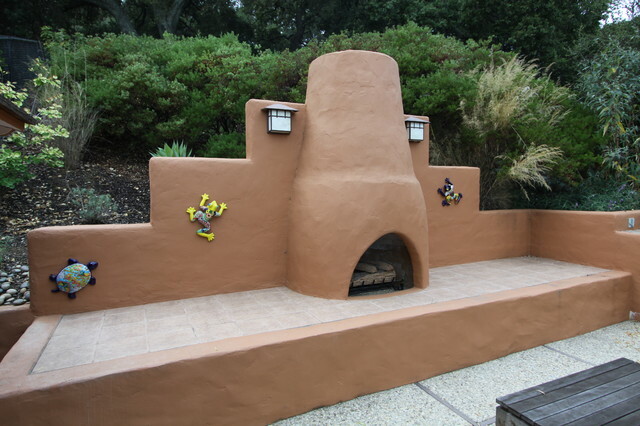 As you can see, this is a mixture of stucco and rock but it really stood out and offers a unique and custom look. 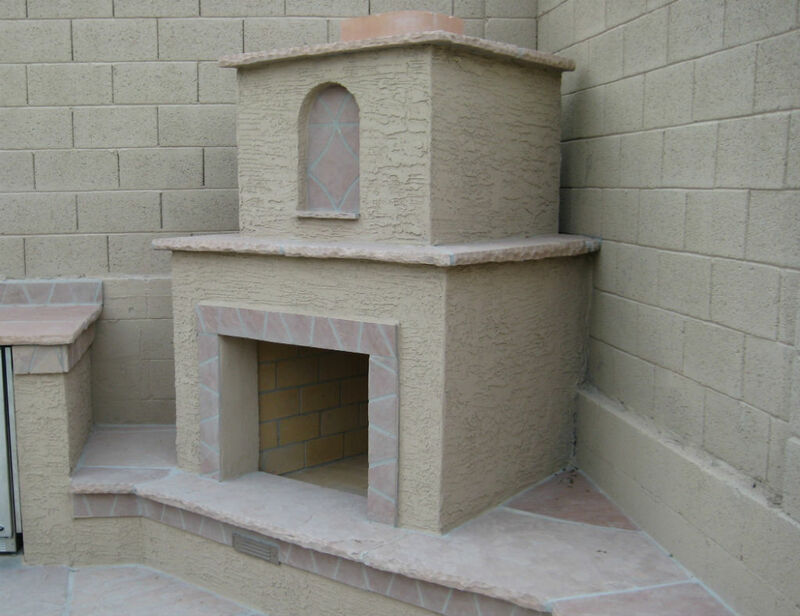 Be sure to pick the right colored rock that matches the stucco. This example is quite elegant and has a ton of detail and personality to it. There is trim used everywhere, two large corbels and even a touch of metal. 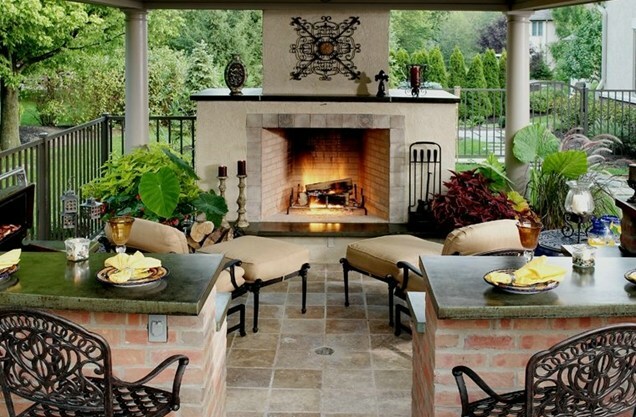 This is a great example of a built-in fireplace that can make a covered patio into its own outdoor room and create a space all its own. 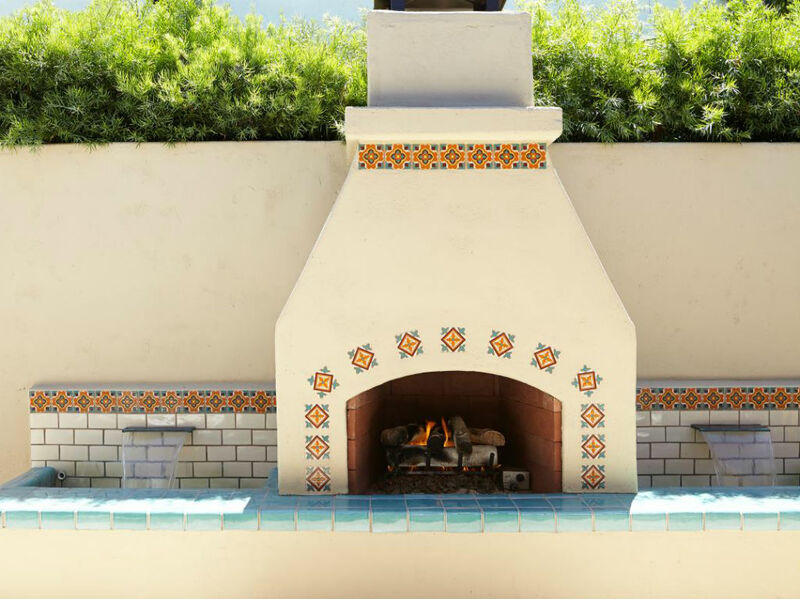 This outdoor stucco fireplace has a unique look that gives off asort of “cottage type” of feel and its overall minimalistic andrelatively simple design really makes it stand out. This particular fireplace is a bit older but still has some rustic appeal to it that many folks like. The simple texture, along with the brick make for a seamless transition. 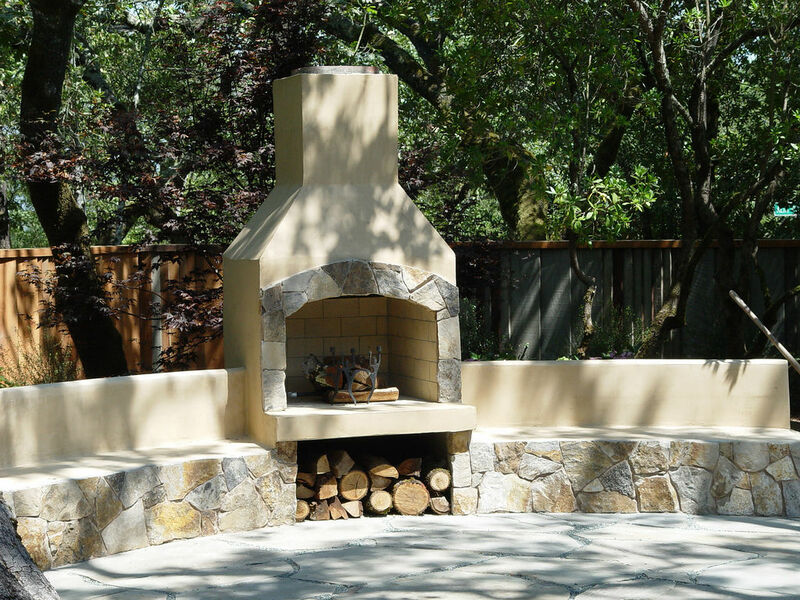 This is not your ordinary fireplace, the rectangular shape allows it to fit nicely in areas that couldn’t accommodate one. Not sure how much heat would come out of it but the design is fantastic. 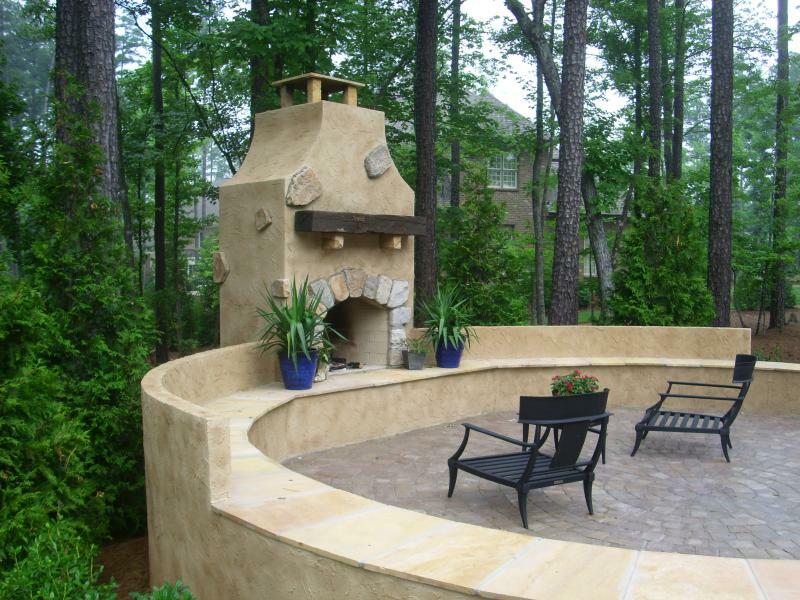 This is a great example of a more modern design with a Mediterranean flair to it. 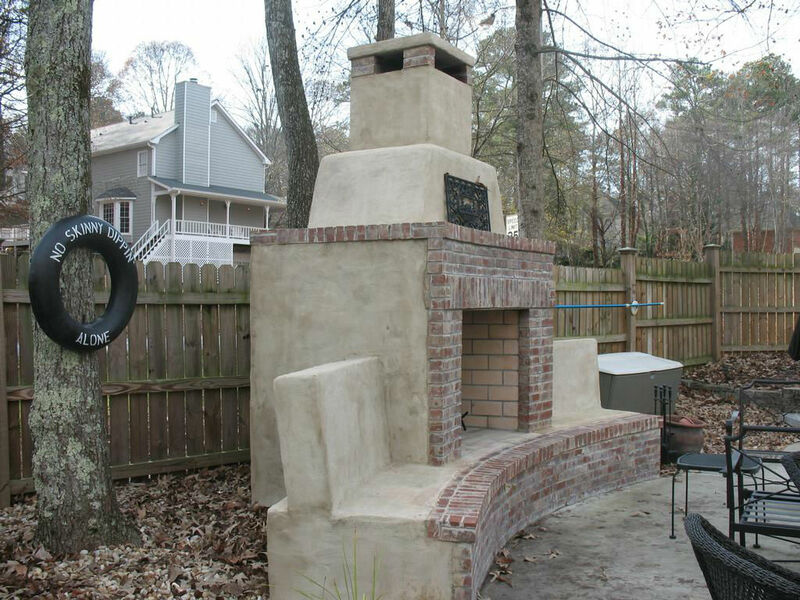 The stack is very tall and the colors compliment the style, I could see this type of fireplace being popular. 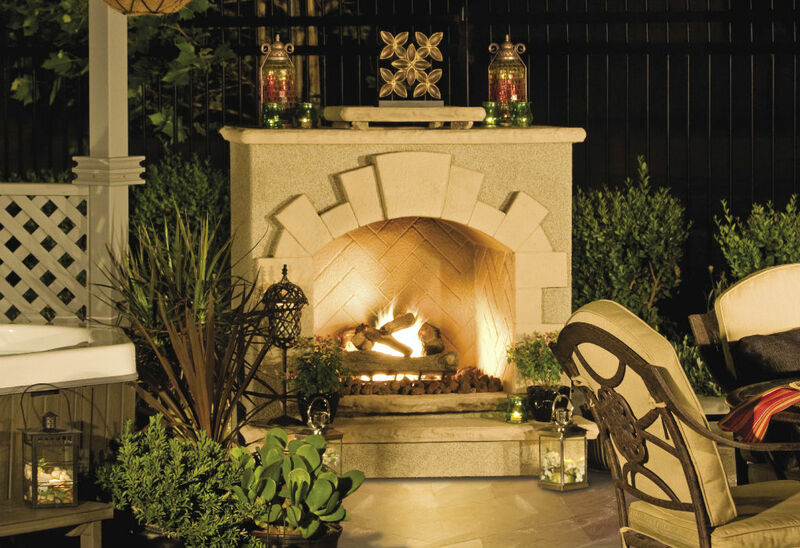 This is probably the most simple outdoor fireplace in the lineup and is one of my favorites. 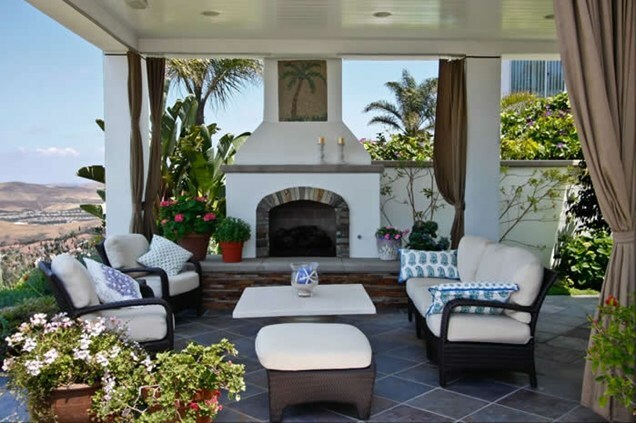 The tile is a nice touch and the way it is flush with the stucco makes them integrate almost seamlessly. The color is clean and sleek too. I like how much rock was used in this example and where the rockis placed along the edges and surrounding the opening. A nice contrastof color and texture in this project. This is a portable type of unit that would have to be powered off of propane cylinders but still a very nice piece. 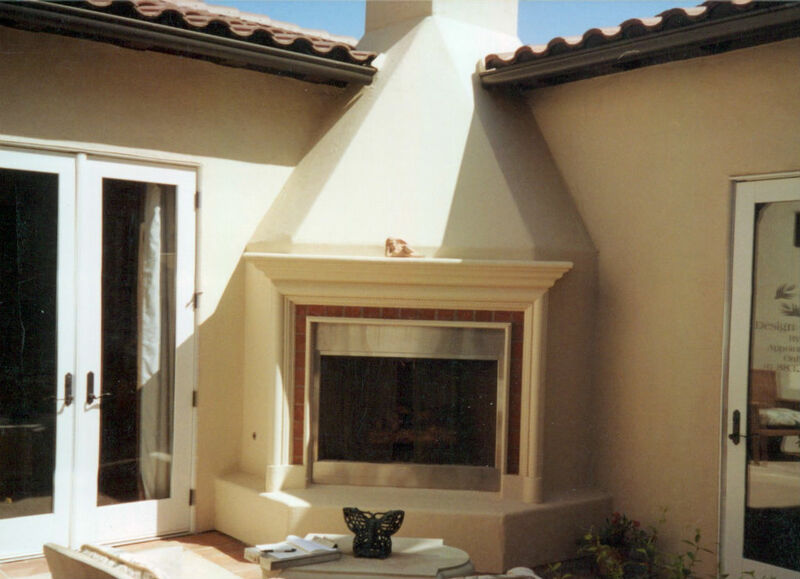 This is another example of a stucco fireplace that would be popular, I think. This one really caught my attention because of the location and how it was integrated into the building’s architecture itself. 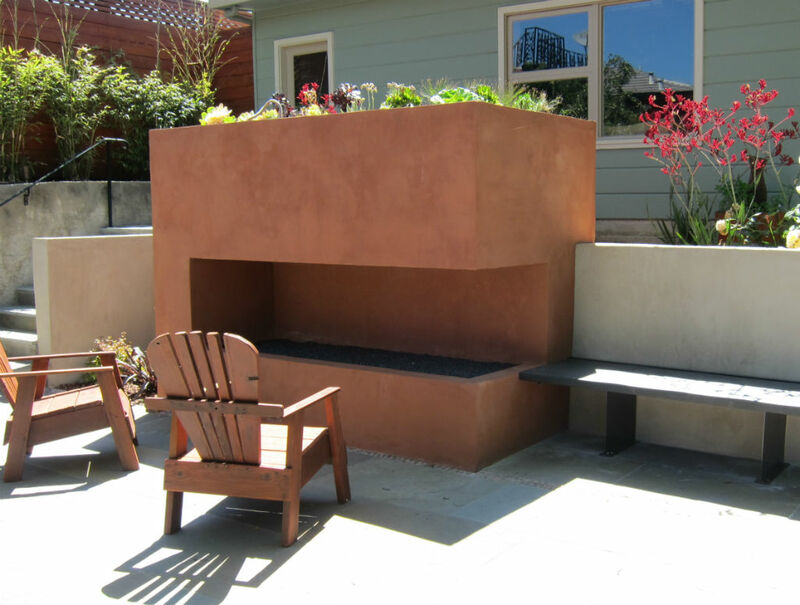 It is tucked away and saves space but also creates a focal point that also provides a source of heat. The foam trim around the door is a nice touch but I’m not sure how well it would hold up to the heat. Here is another example of a corner unit but it is much simpler than the previous example. The texture of the stucco is a heavy lace type of texture and the subtle tone of the rock brings out the color within the finish. 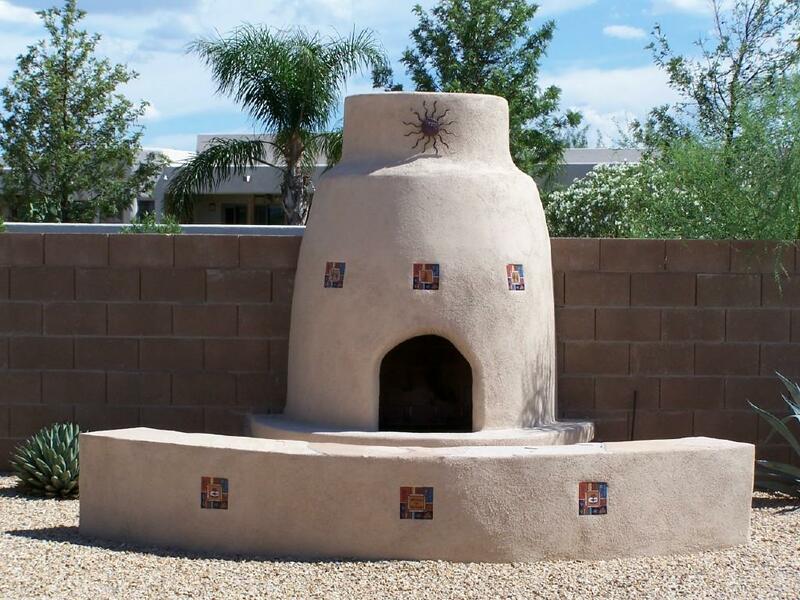 This is the third “adobe style” fireplace that I have in the list but it is so practical and simple. The matching seating area in front of the unit is a nice addition but lacks the comfort factor, meaning you probably couldn’t sit there for long periods of time.